With the first flight of the J-31 or F-60, many questions are being asked. Will it operate on a carrier? Is it for export? Well, the Chinese aviation industry sure isn’t wasting any time: From the first glimpse of the tarp-covered fuselage being hauled in the first official pictures released by Shenyang Aircraft Corp (SAC) in September, China’s second fifth-generation stealth aircraft, the J-31, has now taken its maiden flight. While defense analysts have been busy fretting over Chengdu Aircraft Industry Corp’s (CAC) J-20, first unveiled in January 2011, it looks like SAC was not dwindling its thumbs but instead was hard at work developing a second low-signature aircraft. Since the unveiling in September, defense watchers had been holding their breath in anticipation of what would come next. SAC didn’t make them wait for long, with in-flight images of the J-31, which previously had been designated J-21, popping up on defense Internet sites on October 31. Bearing the tail designation “31001,” the aircraft, accompanied by two Shenyang J-11Bs, reportedly conducted a high-speed taxi run, followed by a 10-minute flight with its landing gear in the lowered position. There is still speculation as to whether the J-31 is intended to be a competitor to the J-20, or a complement to its larger cousin. The one prototype seen so far is a conventional takeoff and landing (CTOL) aircraft like the J-20 and the Lockheed F-35A. However, computer-generated renditions of the aircraft have emerged in defense circles hinting at the possibility of a carrier-based variant, pointing to a role for the People’s Liberation Army Navy (PLAN). Analysts have also advanced the possibility that the J-31, under the designation F-60, could be intended as an export fighter to compete against the F-35. As with the J-20 and other domestic aircraft programs, the main question remains which type of engine — the main technical bottleneck for Chinese engineers — will be used on the J-31. One option, according to some analysts cited at China Defense, could be the Progress-Ivchenko Al-222-95F, a 9.5-tonne turbofan thrust engine, which Ukraine has reportedly offered to co-produce with China. The Chinese Air Force and Navy are probably half a decade away from seeing fight-generation commence operations in their respective services. 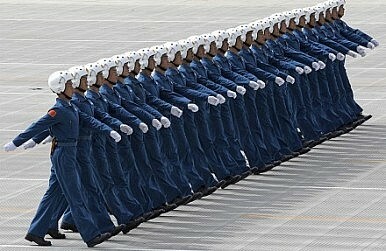 But one thing is sure: Defense analysts have underestimated China’s ability to overcome technological hurdles before. While the sky isn’t falling in East Asia, the skies over China are well worth paying close attention to. Was the jet crafted from stolen intelligence? Could it be used on China’s new aircraft carrier? With photos appearing online of another Chinese stealth fighter, questions are mounting. China's Stealth Attack on the F-35 China Developing a 2nd Stealth Fighter? China's Stealth Fighter: It’s Time to Discuss J-20’s AgilityIs China Rethinking the Shenyang J-31 Fighter?Could Restarting F-22 Raptor Production Ever Be a Good Idea?